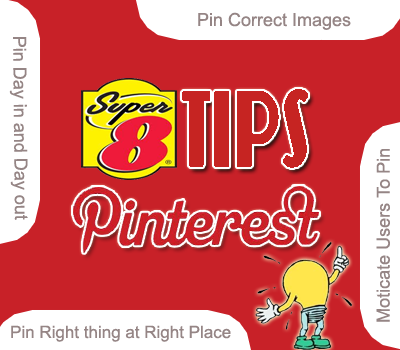 In our previous post, we introduced first online visual Pinboard named “Pinterest”. As Pinterest could be the up coming social networking giant so, we decided to write some tutorials to explain how you can use it to drive traffic. This is the reason why today we will share the top 8 tips to drive more traffic from Pinterest To your blog. Before we get started, the fundamental rule behind success is to discover every thing from its roots. This is the reason why we hunt for suggestions from qualified people. Now when we are thinking about Pinterest as our promoter, it’s vital that we have a comprehensive study on how the whole process works? So today we will share some of the basic tips which will bring more traffic to your blogs and website if you pin right thing on right place. Managing every thing in a systematic order has some significance. So whenever you try to submit a new pin, try to assemble your pins according to there categorize in your pinboard. You can create new boards, add a description to it with wealthy keywords. Just like other social networking website i.e. Facebook, Twitter, Google+ it is vital to keep your followers updated. And in Pinterest we follow the same mantra by keeping our followers up to date. Try to pin every day, Pin what your followers want, interact with your followers to learn what they wish for. Pinning is all about your image, when ever you submit a new pin. It ask you to select the most desirable image which could express every thing to your audience. So whenever you are pinning any thing try to select the most impressive image, which could create sparkling impression in minds of your followers. Another important feature which can bring more traffic to your blog is repining. If any one repin’s your content then your blog will receive more traffic as your pin is spinning all over Pinterest. Yes It does look a like MBT As This blog is totally inspire From MyBloggerTricks. Actually till now many of people not aware of pinterest but it is good source to get traffic.